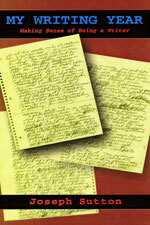 There are 52 short entries—one for each week of the year—that deal with everything from “How to Write and Love Doing It” to “Writing as Therapy” to “Overcoming Writer’s Block” to “A Typical Day in This Writer’s Life.” Other pieces include “Writing and the Subconscious,” “Revision,” “Deadlines are Lifelines,” “The Secret to Writing” and many more ways to help both the beginning writer and professional stay focused on his or her goal. Each page in this little jewel will help push you toward honing in on your own voice and getting published. My Writing Year will set you free, free to write wherever your thoughts take you and to overcome the obstacles that might otherwise stop you in your tracks. For the past few months I’ve been experiencing a dry spell in my writing because I’ve been busy promoting my latest book Write Now! On the Road to Getting Published or How I Learned to Sell My Book. I’ve also been sending out query letters by snail mail and e-mail to a host of agents trying to convince them to read two unpublished novels of mine. Add to that, I’ve been watching the most exciting basketball team I’ve ever seen—the Golden State Warriors. Instead of sitting at my desk creating new material, I’ve been watching the Warriors on TV. What it all boils down to is, I haven’t been writing. It’s time to start again. What a brilliant idea! If I write about writing and the writing process, it will get me out of this dry spell I’m in. Not only that, it will give me something to sink my teeth into. It will give me a goal to strive for. It will give meaning to my existence as a writer. Well, I’ve started. From here on out, once a week for the next 51 weeks, I’ll be taking it one step at a time trying to make sense of being a writer. If a writer gets rejected, he should keep on sending his work out again and again. If he persists, every once in a while he’ll receive a letter or e-mail with the words: “Send me a hundred pages of your novel.” That’s all a writer needs to keep plugging away at his craft.